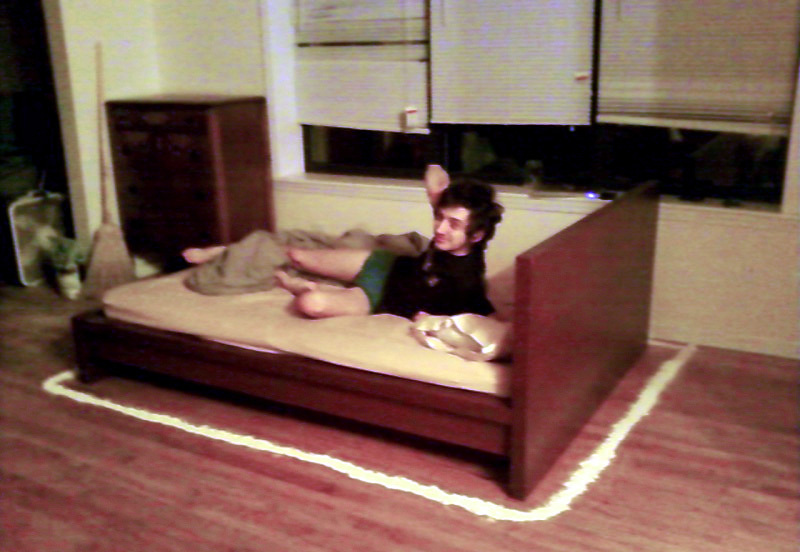 Vlad made a beautiful moat of diatomaceous earth around the bed for to keep the bed bugs from biting. So far so good. Bed bug death chamber arrives Tuesday or Wednesday probably. The company has yet to send me a tracking number, which makes me nervous and suspicious that all companies in the bed bug industry are like arms dealers, exploiting people at their most violently vulnerable. Smug Seahorse; La Frustración. Faces, Circles.